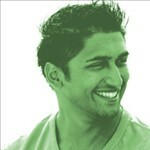 I think I would travel across continents to continue to have Raj as my dentist now . From the reception staff to dental assistants and to Raj after so many years of having poor experiences with dental treatments from check ups to extractions I have now finally found a gem in Raj. Raj is professional, courteous, explains everything and clearly accepts nothing less than perfection from his work and results which he takes real pride in - so wonderful. I recently had to have a front tooth completely replaced having broken it and after visiting 2 other dentists and paying quite a bit of money out just on consultations to be told I needed an implant I happened to be referred to Raj just to have the broken tooth removed. Raj was wonderful and explained that another option was to have a bridge which required less invasive treatment, would be just as durable for many years to come and also substantially cheaper. I have now had all the work done and I am over the moon to be rid of my denture and am just so grateful to Raj and Emma who I cannot recommend highly enough. Raj is my new best friend and I just hope I can always keep him as my dentist and he does not move abroad - however as I say - I think I would travel across continents to keep him! I really cannot recommend him highly enough - a perfectionist and a gentleman - not forgetting his loyal assistant Emma who is his third hand ! I have been with the practice from the start and have no hesitation in recommending them. I have received very good care and service, and have seen the practice grow and improve over the years. My son needed braces and I had rung around several practices who were very unhelpful. Then I called 2Green Dental and spoke to the lovely Jodie. She was the fist person I had spoken to within the dental industry that took the time to listen to my questions and answer me thoroughly and knowledgeably. She was polite, informative and created an excellent first impression of the practice. We saw Ammeka, who has been great, putting us at ease and explaining everything thoroughly. We are starting treatment soon and I have the trust in Ameeka that she will carry this out to the highest possible standard. I have found the atmosphere at the Practice to be calm, relaxed and professional. After avoiding the dentist for 4 years I had to book an emergence appointment. 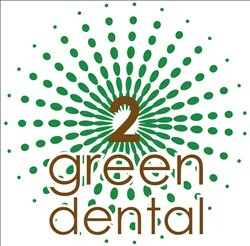 After looking on the website decide 2 go with 2 green dental. All the staff where friendly and helpful. Dr Rajiv made me feel relaxed and put me at easy. I had my wisdom tooth out, the treatment was quick and pain free and I was advised about after care. I will be recommending the surgery! 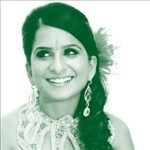 2 Green Dental was taken over in March 2008 by Dr Ameeka Ruwala and Dr Rajiv Ruwala and has since been transformed into a modern, state of the art dental surgery. Talk to us; let us know what you think of what we do, right and wrong. We are also now introducing the option of interest free credit schemes for private treatment plans. For more information, please click on the link on the left hand side of the webpage.